Crews in Northern Kent County respond to Lincoln Lake near Gowen on a call of a water rescue on February 13th, 2019. Here's a look at stories making headlines today. 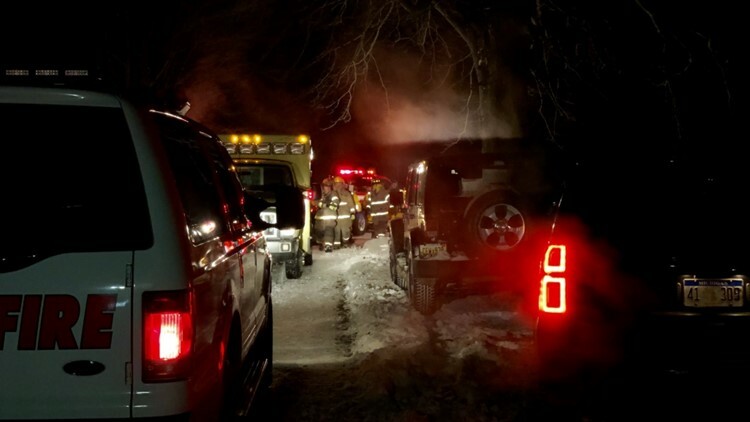 URGENT SEARCH | The search will continue after sunrise for a missing man who is assumed to have gone into open water while snowmobiling on Lincoln Lake overnight. STAY VIGILANT | Grand Rapids Police are looking for a man who is believed to have tried to abduct a teenager yesterday morning. The girl was walking to school. Police are asking possible witnesses to speak up. A WELCOME REPRIEVE | A quick warm-up today will be followed by another round of cold air. SOMBER REMEMERANCE | Parkland school massacre 1 year later: A time to remember the victims. OSCAR BACKLASH | The film academy blames "inaccurate reporting" and social media for what it says has been a "chain of misinformation" about key changes to the show. Don't forget, you can win free movie tickets for a year as part of our Oscars contest. HAPPY VALENTINE'S DAY | Whether you're celebrating with your significant other or flying solo, here are some Valentine's Day deals everyone can enjoy.